Do Werewolves Violate the Establishment Clause? I disagree; indeed, I find the position obtuse. There may be many reasons to use the epithet “Crusader,” and in a military context “[t]he most logical purpose” is to associate oneself with the fearsome, bellicose spirit of the Crusaders — who, after all, were warriors. So the letter seems to me to be wrong as a matter of constitutional law. But set that aside. Why is MRFF not upset about the name “Werewolves”? Doesn’t “Werewolves” violate the Establishment Clause too? 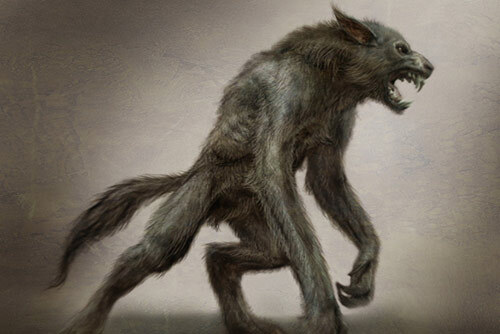 Lycanthropy (humans turning into wolves), I believe, was popular with the Algonquian Native Americans (the Wendigo), and I also think that certain varieties of Wicca believe in something like lycanthropy. Pagan belief in werewolves may have originated in Book 1 of Ovid’s Metamorphoses, where Ovid tells of King Lycaon, who is turned into a wolf by Zeus when he treats Zeus most inhospitably (“His arms descend, his shoulders sink away/ To multiply his legs for chase of prey./ He grows a wolf, his hoariness remains,/ and the same rage in other members reigns./ His eyes still sparkle in a narr’wer space:/ His jaws retain the grin, and violence of his face.”). And, of course, werewolves are an integral part of that most pagan of holidays, Halloween. At any rate, given these religious origins and the continuing association of werewolves with paganism, why should MRFF have a special problem with cultural symbols with Christian origins? Let’s do this right, and get werewolves declared unconstitutional too.